The kick serve is probably the most effective tennis serve – or one of them at least. The truth is that the kick (or twist) serve is one that is guaranteed to hit the court at a safe place, but it doesn’t have to skim too close to the net in order to avoid hitting it out of bounds. Most players that can get a good kick serve can send the ball flying at upwards of 100 miles per hour, and still it will fall perfectly into the service box. To add to that, it usually end up bouncing higher than other serves, meaning that the receiving player actually has to get out of their comfort zone to pick up the serve. However, the truth is that a kick serve isn’t the easiest serve to learn, as you need to get just the right balance between power and spin. Most players that develop this tennis serve prove to be dangerous opponents, as this serve shows a bit more versatility and skill that puts the other player on the defensive. 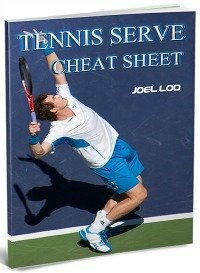 If you want to be the best tennis player possible, this is the serve for you to work on and perfect. Hold your racket with the Eastern backhand grip, though turn it slightly towards the Continental grip. Toss the ball not straight up in the air, but throw it as if you wanted the ball to be slightly behind your current position and off to the left. You actually want to hit it while it’s still moving, and you want it to be placed behind your current serve position in order to really get the topspin. Imagine that you are throwing the ball towards the 11:00 position on a clock, and that will be the perfect location for the toss-up for the serve. Give your knees a bit of flexibility as you bend them, and thrust your pelvis forward slightly. This will help you to get all the power that you need for your kick serve, but it will also prevent you from injuring your back. Remember that the ball is going to be slightly off to the left (of your right handed position), so if you try to hit it with just your back and arms you will end up getting hurt. Rather than putting all the power in your front leg, both legs will be called into play for the kick serve. By using both legs, bending the knees, and thrusting your hips forward, you prepare to pack a punch! It is important that you don’t get too low into your crouch for this tennis serve, as that will make it harder to really pack the punch and get the spin on the ball. You should get into the crouch slightly by bending your knees, but you need to be sure that your head stays high. Keep your dominant elbow around the level of your shoulder, and keep your tossing arm extended for a second before swinging for the ball. Keeping your head, your hitting elbow, and your tossing hand high, you can really hit the ball with a lot of power. Resist the urge to send the ball straight towards the box, as that will cause it to fall short. (Bonus tip: think of brushing the ball upwards rather than hitting it down) You need to aim about 6 feet or so above the net, and let the spin you are putting on the ball cause it to fall in the box. Snap your wrist as you swing your racket forward, and brush the back of the ball from 7:00 to 1:00 (upward and left-to-right) to give it the spin that will send it arcing strongly downward once it has cleared the net. Once you hit the top point in your swing, it’s time to uncoil your upper body (release the tension that you have been holding in your core and back as you swing for the ball) and aim it towards the spot on the court that is your objective. Make sure not to uncoil your body too quickly, as that will cause the shot to fly off. 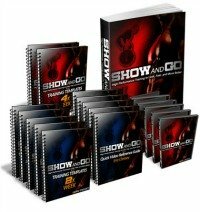 Let the racket follow through on the shot, and give it the proper power by ensuring that you don’t release the tension in your body too quickly. The racket should end at your non-dominant side. Follow these steps to hit excellent kick serves. It takes time and hard work to master it but it is definitely worth it. Trust me, enjoy the kick! Watch the following video on Roger Federer's monster kick serve! 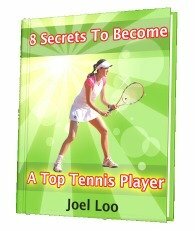 From "Tennis Kick Serve: 5 Steps To A Successful Kick Serve" To "How To Play Tennis Efficiently And Become A Better Player"